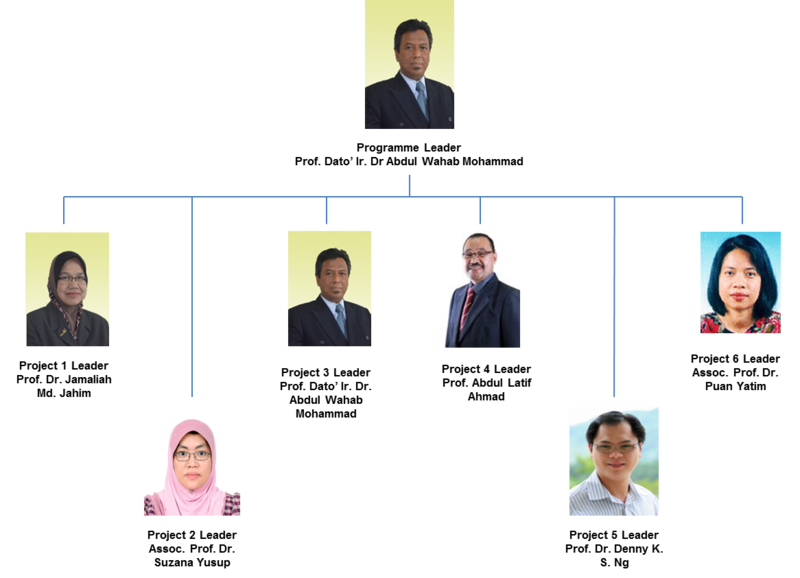 Long Term Research Grant Scheme (LRGS) project research led by Universiti Kebangsaan Malaysia, UKM is a multi-disciplinary team of experts investigating in six main areas on the future Biorefineries. The sub-programmes include biochemical platform for production of biobased fine chemicals; thermochemical platform for production of fine chemicals; advanced purification methods for liquid based fine chemicals; advanced technology for upgrading of biogas and syngas; integration of technologies and supply chain management to enhance the sustainability of biorefineries; and policy research to enhance innovation and risk management to support the National Biomass Strategy. Other research institutions included are from UTP (Project 2), USM (Project 4), UNMC (Project 5), UMT, UTM, UMP, UM, Monash Universiti, UTAR, UNITEN and DLSU. 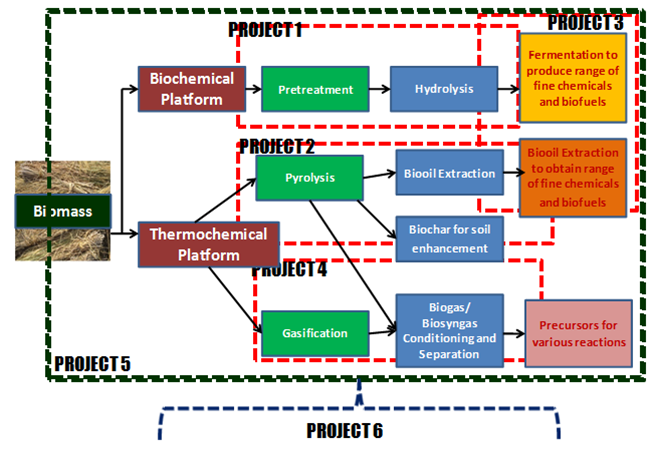 To optimize the technological conversion platforms for development of biorefineries for production of sugar-based products, precursors and fine chemicals. To map out technical and business strategies to ensure that the National Biomass Strategy can be implemented effectively. To develop advanced technologies in downstream processing to enhance the value added products of biorefineries. To recommend economic and socioeconomic policies to enhance the strategic interest of the biomass industry.